Over recent years, Raman spectroscopy has proved to be a very effective tool for polymorph screening, especially when combined with multivariate analytical programs such as principal component analysis PCA. PCA is designed to highlight hidden trends within a data set by describing the variance present through factor loadings. However, in screening experiments it is important to distinguish between spectral differences due to polymorphism and those from other sources. 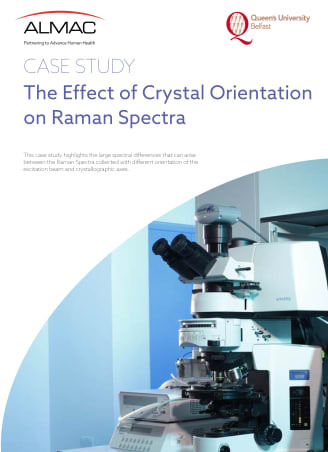 Here we show data highlighting the large spectral differences that can arise between the Raman spectra collected with different orientation of the excitation beam and crystallographic axes.